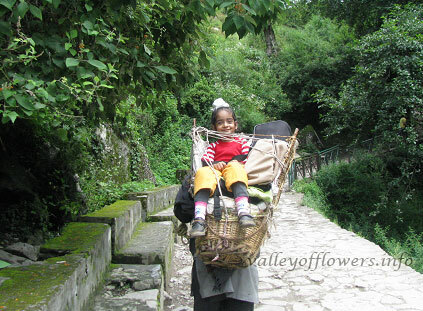 Preparation for Valley of Flowers trek, We are generally not used to physical workout living in cities. Prepare yourself for the trek. your enjoyment is directly proportional to your fitness level. Unlike any other destination, the lofty, glittery peaks in the House of Snow are not too easy to invade. 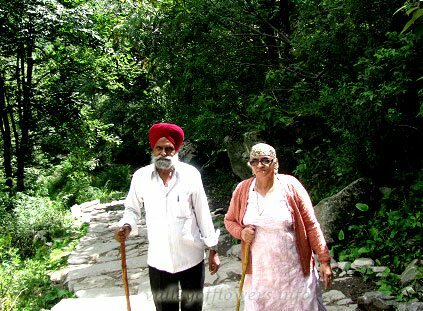 Those who cherish to advent through the Himalayas for the first time but are skeptical about the required readiness would be delighted to find ways to their resolution here. It is always better to go through the detailed description of your travel destination, it will help you make sense of the scene and give you information about how to approach your visit. 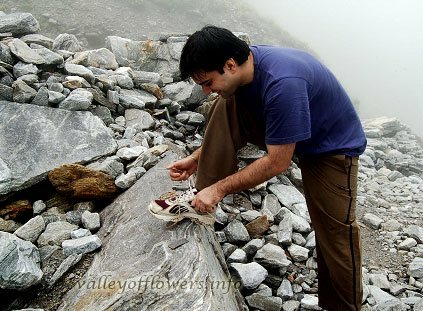 The good news for all is that Valley of Flowers is an easy trail so the upcoming challenges are realistic! The excessive walking and climbing may cause breathlessness and could be strenuous for your back, shoulders and arms. It is also inevitable that you gain strength and endurance in your legs too. However healthy you are, amateurs may encounter with altitude sickness which usually kicks in on high peaks. You can qualify to be a good trail warrior with a strong determination and of course a little but consistent workout prior to your travel schedule. Planning of any important event is a key to its sure success, so the ground strategy of your trip is to be fit to enjoy it best. For travelers with ailment : Please check with your physician if you need to carry any specific material or medicine with you, he will also suggest you how you should plan your workouts and be in your best shape all through your outings. You can follow any of your convenient style to exercises to enhance boost in your STAMINA! Great stamina not only attributes to explore well but it will also help you feel better when you engage in day-to-day activities. 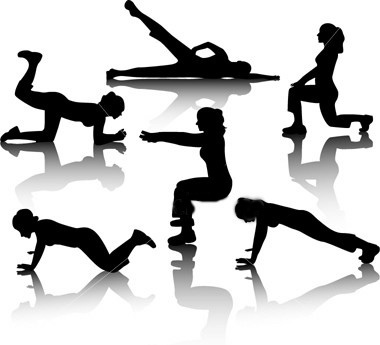 The exercises to build stamina and lose weight involve cardiovascular work as well as weight training. One of them is “leg presses” at 45 degrees or lower and lying leg curl exercises which will be beneficial to increase stamina and burn calories. This workout will surely build strength in your legs and also work on your chest, arms, shoulders, and back, abs and buttock muscles. It is advisable to Engage in interval training / practice. 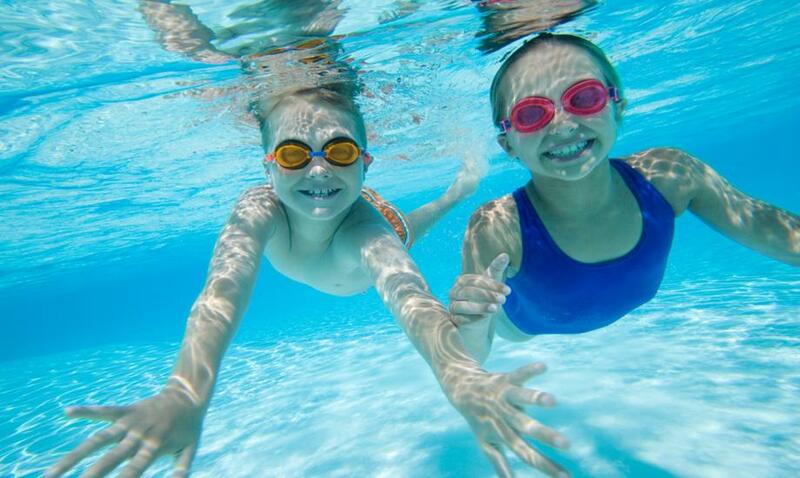 “Swimming” especially freestyle stroke everyday at least for 30 minutes followed by jogging and some breathing exercises is highly recommended for stamina-building workout as it accelerates almost all of your muscles. Performing “Yoga” can bring tremendous therapeutic effect in your life but as you advance in your practice it will contribute immensely to your physical, mental and emotional stamina. The ability to hold your pose requires strong muscular and respiratory support. Yoga also serves as excellent training for kids and adolescents both as a form of physical exercise and for breathing, concentration and relieving stress. 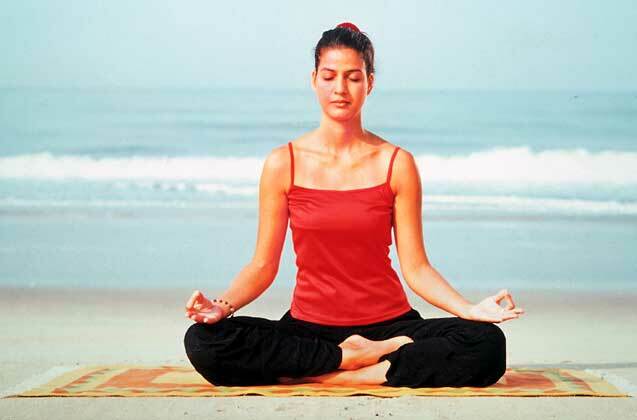 The physical postures of yoga are used to alleviate health problems, reduce stress and make the spine supple. Yoga is also used as a complete exercise program. 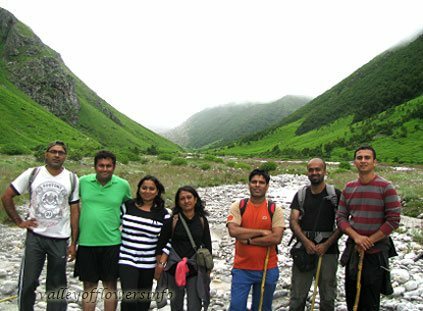 The whole idea is tell you that please do not be experimental rather be clear and ready to make the most of your trip at Valley of Flowers. Keep track on your stamina progress it will motivate you further when you start feeling lighter and healthier. Pay attention to what you eat, inculcate a habit of drinking more and more water to keep hydrated, it really helps. And most important is to keep active every day some way or the other. 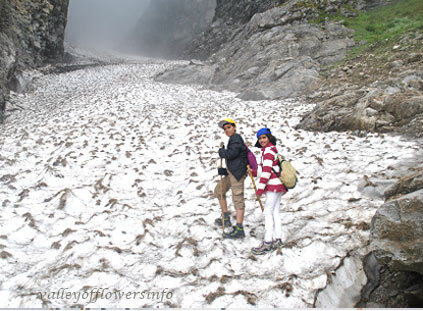 Want package details for the trip from 2nd July to 9th July. We have sent a detailed itinerary, kindly check. 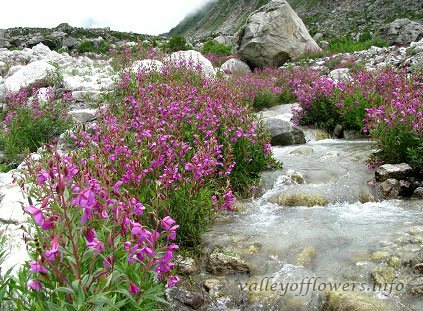 I want to plan a family trio to the Valley of Flowers in the second week of August. 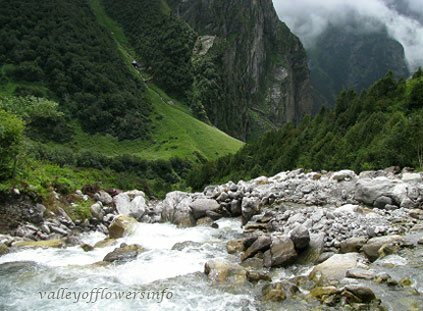 Firstly I would like to know the impact of the forest fires on the Valley of Flowers. Secondly I will be travelling with a three year old. Is that OK? 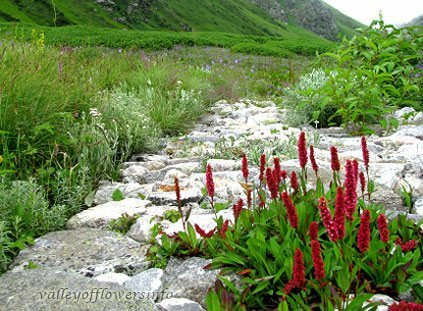 We have mailed a detailed itinerary for Valley of Flowers tip. 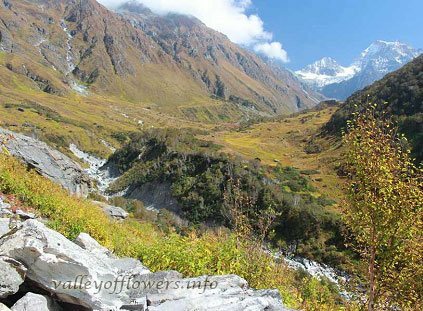 The Valley of Flowers is on higher altitude and covered with snow these days. The fire is only in lower region and due to rain its almost put off. The tours are after July month. So you need not worry about that. We do not recommend the child below 5 years for higher altitude places trips. Corydalis meifolia is a sub erect perennial herb of 10-45 cm. It is deeply covered by old sheathing leaf bases. 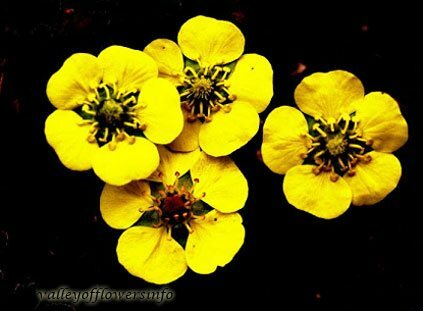 Flowers are yellow with purple or violet tips or rarely orange colored. Leaves are like blade with triangular shape. The specific name Meifolia refers to minute segments of leaves. 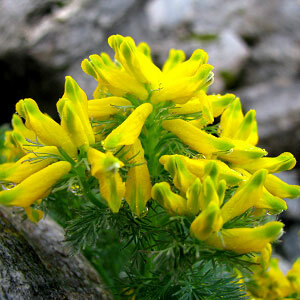 Corydalis, the genetic name refers to bearing horns or spurs.